The first-born in a family of six, Moses Ndiema Masai is the first in a family trilogy that possesses extraordinary athletics talent and he should not be confused with the marathon runner, Moses Masai. A 23-year-old Kenya Police runner, Ndiema Masai, is the older brother to 2007 World Junior cross-country champion, Linet Masai, and to Dennis Masai, who is tipped as a future star. Together, Moses and Linet have previously represented Kenya at the 2008 Edinburgh World Cross and Beijing Olympics and now, both are set to parade their country’s colours at the Berlin World Championships where they will compete in the 10,000m races. Dennis, 22, is yet to break into the national squad. "When they saw what I was achieving and bringing home from running, they wanted to be like me, Moses, the 2005 Africa 5000/10,000m junior champion. We train hard to succeed," Moses, who burst into the scene when he won a share of the Sh1m ($13,157) jackpot in the AK/Energizer Cross-Country Series in 2004 disclosed the inspiration behind the rise to Masai Trilogy. His career has however, been hampered by a recurring ailment that has led to indifferent form. In 2006, what was initially diagnosed as typhoid, and which saw him miss the trials for the World Cross Country Championships in Fukuoka, turned out to be a serious ailment that sees his body secrete excessive digestive acids. The condition raises his acidity to unbearable levels when it worsens and he is currently on medication to keep it under control. Nevertheless, the former Kapsogom Primary School pupil started running in his sixth year, at 800m and 1500m. "For me, it just felt right to start running and, the more I ran, the more I felt like running all the time," explained Moses, who was the 2005 Most Promising Athlete at Kenya's Sports Personality of the Year (Soya) awards. He joined Bishop Okiring Day Secondary School where he would train after school, (the same institution that his sister Linet joined in 2006). It was here as a Form 3 (third year) student that Moses, then affiliated to Kawangware-based Nairobi's Hidden Talent camp, made shockwaves in the AK/Energizer Cross-Country Series. He claimed four victories in the 8km junior race, including the final in Eldoret, to earn a one-third share in the $13,157 (Sh1m) meet jackpot. 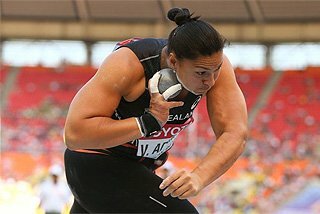 To take a share an athlete was required to win at three meets, as well as the last round. The other two athletes to share in the jackpot were Peninah Chepchumba (senior short race) and Gladys Chemweno (junior women). "I used the money to help my parents pay school fees for my brothers and sisters,” Moses said. “The jackpot also made me realise that one can make a living from running and hence I gained more motivation." His debut at the World Cross Country Championships, in Brussels in 2004, failed to reflect his Kenyan form and he could only finish 16th in the junior race. He returned to Kenya to train for the national trials for the World Junior Championships in Grosseto, Italy, and duly won the 10,000m (28:19.1). 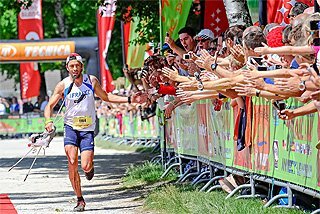 In Grosseto, however, form deserted him and he could manage only 10th place (29:32.48). His season ended with his first international circuit appearance, at the Van Damme Memorial meeting in Brussels, in which he finished seventh in 27:07.29, a national junior record, bettering the 13-year-old mark of Kenya’s Richard Chelimo, which had stood as World junior record till is was broken in the same race by Uganda’s Boniface Kiprop (27:04.00). 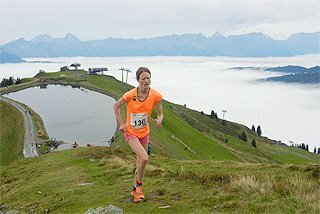 In 2005, Moses, who was bestowed his Soya award for his jackpot winning exploits the previous year, finished fifth in the junior race at the National Cross Country Championships to qualify for the World Cross Country Championships in St-Etienne/Saint-Galmier, France, where he was seventh in the junior race. Later in the season, he was selected for the Africa Junior Championships, in Tunis, in September, when he completed a 5,000/10,000m double (13:45.15/28:30.27). 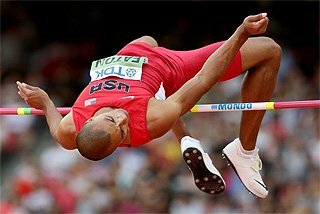 Moses began 2006 hoping to build on his Tunis performance in his first year as a senior athlete but disaster struck. He was well on course to feature in the World Cross Country Championships, in Fukuoka, Japan, after winning the men's long race at national championships. However, he came down with serious stomach pains that were wrongfully attributed to typhoid. That was the beginning of the illness that has shadowed his career. He missed the cross trials and the national track championships as he recovered. Making his competitive comeback in the last two Golden League meetings, Moses ran 27:03.20 at 10,000m in Brussels (fifth place) and 13:13.28 at 5000m in Berlin (10th place). 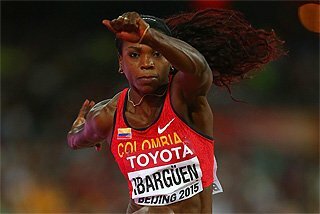 After placing fifth in the Amorebieta Cross in early January, Moses did not feature again in competition at the start of the 2007 season, missing the World Cross Country Championships, in Mombasa and Osaka World Championships in Japan, but became active in the European track circuit. He began by running his 5000m PB in the Takac meet in Belgrade, where he won in 13:08.81, then placed fourth (7:47.29) in only his second 3000m race at the Warsaw meet, in Poland. He followed up with some less notable performances before finishing runner-up over 10,000m at the Van Damme Memorial in Brussels, slashing his PB to 26:49.20. In his first appearance at the World Athletics Final, in Stuttgart, he finished third in the 5000m. Moses started the 2008 season by taking the last podium place behind Ethiopia’s Kenenisa Bekele, winner of five senior long course and five senior short course World Cross Country titles, and compatriot Joseph Ebuya at the Amorebieta Cross Country in Spain. On 9 February, Moses clinched the Kenya Police Cross Country title and, at the 1 March national trials, he made the provisional team for the World Cross Country Championships in Edinburgh. His place was confirmed when the final team was named on 17 March. 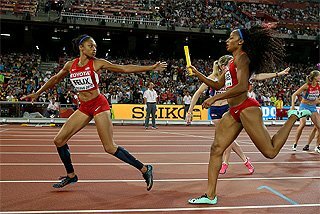 "I am aiming to run well and get a podium finish to lay a platform for booking my place at the Beijing Olympics," the softly spoken runner said before leaving for Scotland. His role model is Ethiopian distance legend, Haile Gebrselassie. "I like him since he has been at the top for long,” Moses said. 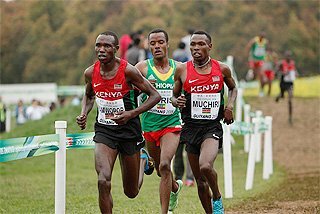 Now fully recovered from his stomach ailment, Moses ran a smart race to finish fifth in the men’s 12km race helping Kenya win the team title in Edinburgh on 30 March. Having skipped the African Athletics Championships, Moses opened his track season with an outstanding display at the Berlin Golden League meet on June 1. Once the pacesetters, dropped, he pushed most of the pace before Tariku Bekele took the lead with two laps to go. Nevertheless, try as he might, the younger Bekele could not shake off the Kenyan who overtook him in the final straight to win in 12:50.55, a new stadium record, taking it from none other than his hero Gebrselassie. That was the only race he ventured to in Europe before coming back for the Trials on 5 July. He hung at the back of the field until the last two laps when he moved into position before speeding away to win in 28:02:03. 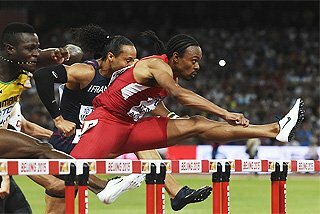 Moses then competed at the Barcelona Grand Prix in on 19 July, again dipping under the 13-minute mark (12:55.72) and went into the Olympics as one of the most in form athletes. 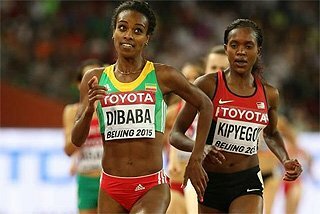 In Beijing, Moses and compatriot, Micah Kogo engaged in a furious battle for the third medal after Ethiopians Kenenisa Bekele and Sileshi Sihine broke away for gold and silver. 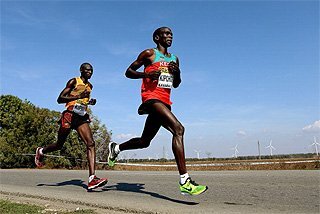 The lanky Moses began eating up the distance between him and his fellow citizen at the homestretch and both crossed the line in identical 27:04.11 timing but Kogo was awarded bronze. 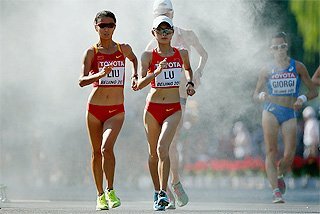 His Berlin (5,000m) and Beijing (10,000) marks accounted for his year bests in the distances. At his second WAF, Masai ran 13:46.04 for tenth in the 5,000m final. In 2009, Masai, who was tipped to make the national team for the Amman World Cross, registered his worst career result at the February 21 Trials for Jordan where he finished 95th in the men’s long race. “It just did not happen for me,” Moses said then. 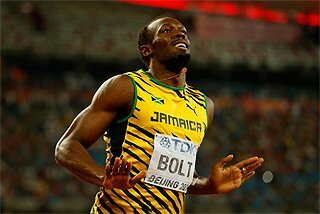 He chose to focus on securing a slot for Berlin World Championships and ran sparingly at the onset of the track season. A seventh place finish at the 3,000m race at the Prefontaine Classic in Eugene, Oregon where he ran 7:44.45, his PB over the distance, was his first and only early season performance on tartan ahead of the Berlin Trials. With Athletics Kenya (AK) ruling the 10,000m final at the National Championships would act as the Berlin selection race in the event, Moses lined up in an imposing field to stake his claim for a place during the 27 June decider. For the second time at a crucial race Moses lost third place, this time, courtesy of a late burst by 2007 World Cross senior silver medallist, Bernard Kipyego, who nailed the final podium position with 27:44.80 against the Olympics fourth finisher’s 27:44.88. The race was the quickest ever 10,000m run on Kenyan soil, with the first four finishers all dipping under the 27:47 Berlin qualification A-Standard. Initially, selectors handed the Berlin tickets to all podium finishers, winner Sammy Kitwara (27:44.46), runner-up, Gideon Ngatuny (27:44.77) and Kipyego. However, AK axed both Kitwara and Ngatuny from the Berlin squad in punishment for competing in road races after their selection without authority from the federation. Kitwara won the Peachtree Road Race (10km) in Atlanta while Ngatuny ran, and carried the Sapporo Half Marathon (21km) in Japan. In their stead, AK gave Moses and Kogo, who did not finish the 10,000m Trial after dropping out with seven laps to go, a chance for a re-match in Berlin. “I will focus on doing my best now that I have the chance. I feel sorry for Kitwara and Ngatuny but when your country needs you, you must oblige,” Moses said.